My book summarizes the results of in vitro and in vivo research on growing, under conditions typical of Hungary, the tobacco and herbal medicine (Lobelia inflata L.) cultivated by native North Americans. The plant was first described by Matthias de L’Obel, a Flemish medical botanist, in the 16th century. In Europe, Samuel Thomson (London, 1807) was first to recommend it as a respiratory stimulant in treating asthma. Recently, there has been growing interest in research on the central nervous system, drug abuse and multi-drug resistance. My aim is to contribute to the exploration of the plant's nutrient requirements, growth-development characteristics and the potential for increasing the yield of the active substance by experimenting with Lobelia inflata. In my experiments, I studied plants produced by traditional conventional seed-propagation and advanced in vitro micro-propagation, comparing the effect of these two, biologically different, propagation methods on plant growth, development, alkaloid production, and ultimately cultivation. 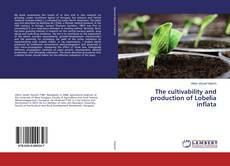 The book describes procedures that a lobelia farmer should follow for the effective cultivation of the plant.